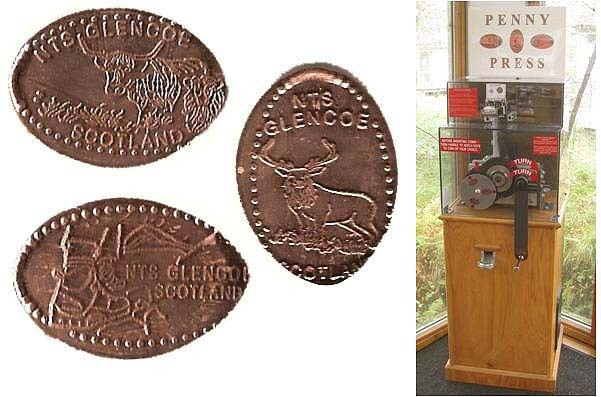 The machine is located in the National Trust Scotland visitor centre reception. No admission charged to get to the machine. Retired 1 details: 1. 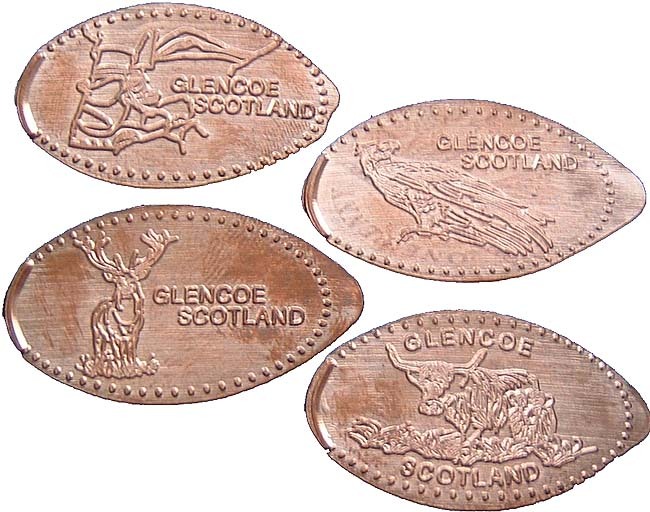 "NTS Glencoe - Scotland" showing a deer, 2. "NTS Glencoe - Scotland" showing a foot with a hiking boot, 3. "NTS Glencoe - Scotland" showing a highland cow with calf.